A perfectionist? Maybe. Obsessed? Probably. Marrying old-world techniques with innovation and experimentation to craft the area’s best wines? Definitely. Meet Darby English, the man behind the wine. It all began in a basement in 2002. Darby, then a passionate wine drinker with more than an appreciation for a good red, decided to make winemaking his purpose. 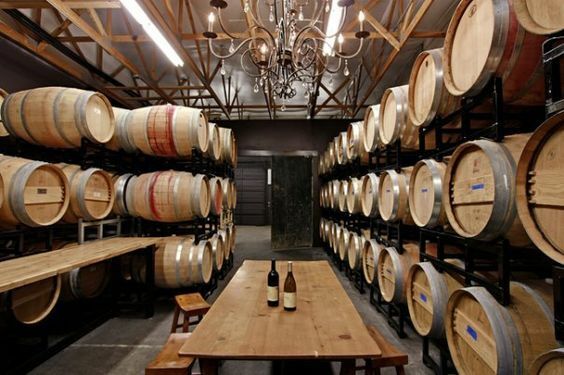 It was at the inception of the Woodinville wine craze. Darby knew something huge was about to happen, and his passion led him to enter the ring. Having been raised in Lake Tapps – just south of Seattle – and attending college at Oregon State University on a golf scholarship. Darby’s upbringing amongst the Pacific Northwest elements instilled a hunger for authenticity in his creations. He knew that to become the best, he must use the best. The best grapes, the best techniques, the best timing. Through his fixation on quality, his scientific like approach to excellence in balance, and his rebellious risk-taking to forge something new, Darby quickly became known for crafting some of the best wines in the state. In 2005 he produced his first commercial vintage with help from Alexandria Nicole cellars. He made 210 cases of Syrah and 185 cases Viognier/Roussanne, all of which quickly sold out. 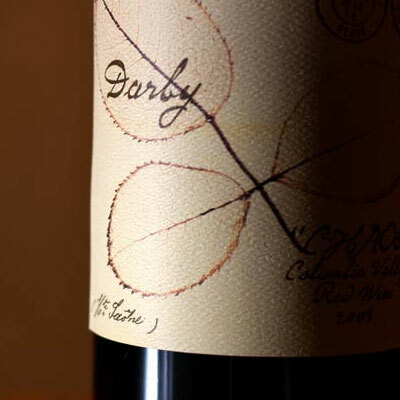 With the success, Darby opened his Woodinville tasting room in 2006 and expanded production to 1,200 cases. As early as 2007, he received national acclaim from Wine Spectator. It was this rapid rise to celebrity that afforded Darby the ability to continue to expand upon his dream, and continue to improve upon his already acclaimed creations. In 2012 Darby opened his Hollywood schoolhouse tasting room. Today he produces 4,000 cases of Bourdeaux blends, Rhone varietals and single vineyard wines. 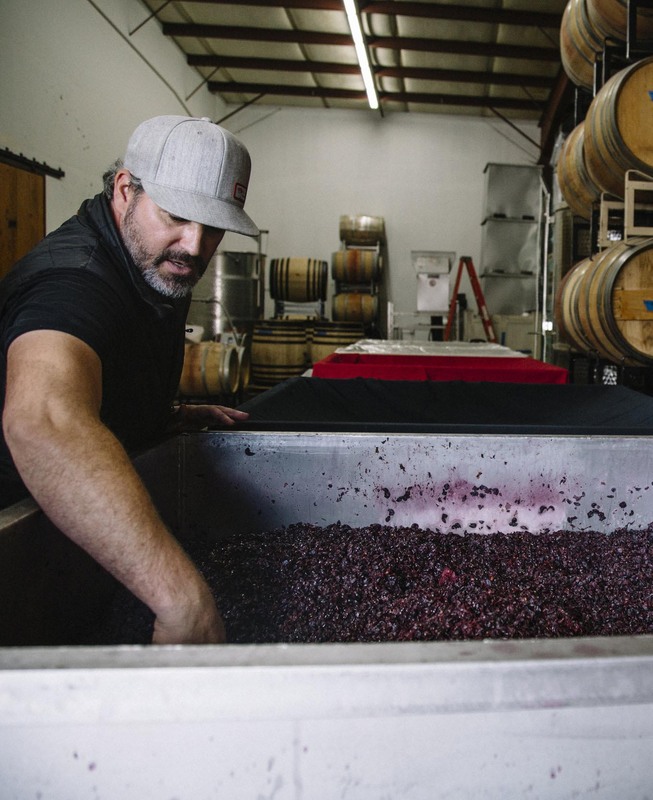 He picks his grapes at optimal ripeness, which then ferment for 10-14 days, utilizing daily pump overs and press when their flavors have fully developed. The deep notes form through his approach to customizing each vintage to embrace the differences every year has to offer. Darby goes so far as to taste the grapes a few times each week during harvest, waiting to pick until the optimal time. To ensure consistency in quality, Darby Winery works with five of the best vineyards – Dineen (Yakima Ava), Quintessence (Red Mountain), Discovery (Horse Heaven Hills), Stonetree and Stillwater Creek (Wahluke Slope). Ever the perfectionist, Darby utilizes only the best French oak. Darby continues his mission to work for specific sites with the right soil, clones, heat, and sun. He works with some of the best vineyards in the state – Stonetree, Connor Lee, Stillwater Creek, Discovery, Dineen. Once the grapes are picked, his winemaking approach is truly minimalist, which includes native fermentation. Darby also knows to treat each vintage and varietal differently, adapting fermentation and barrel choices to the fruit in hand. And quality fruit deserves quality oak. The winery purchases some of the best French oak to increase complexity and flavor of the wines. Most see 18-20 months in barrel. Whites get partial barrel fermentation and are then aged in stainless. Darby Winery currently produces between 3500 and 4000 cases total each year.